Top Rated Phonics Tutors in San Francisco, CA! Welcome to San Francisco’s top-rated private phonics in-home tutoring service! 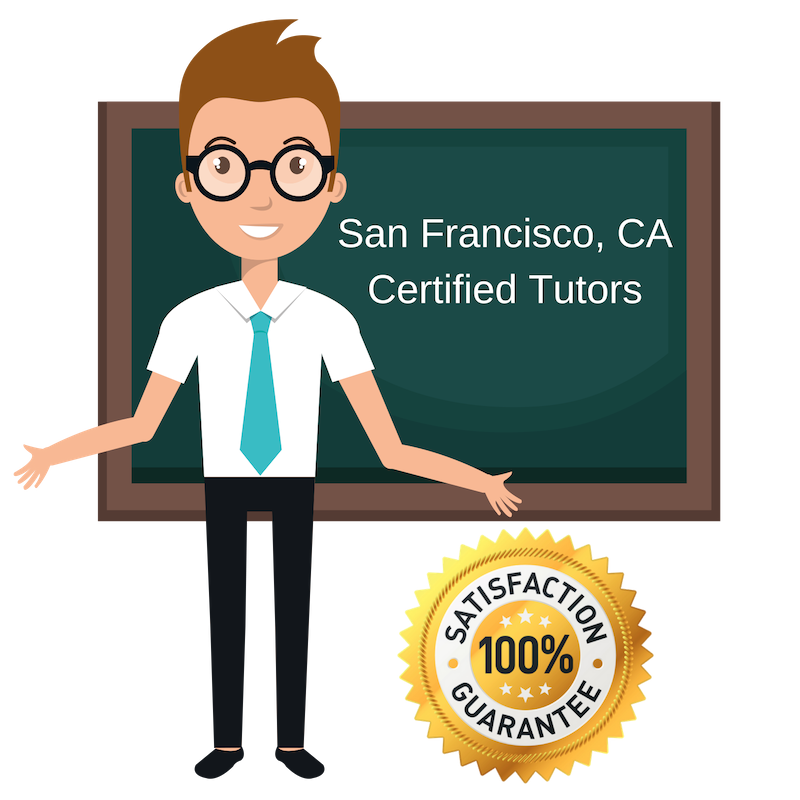 All of the following San Francisco phonics tutors are certified by Varsity Tutors, the leading tutoring agency in the country! All San Francisco phonics tutors have been background checked, been interviewed, had mock phonics tutoring sessions, and been trained by professionals. We guarantee you will love your local San Francisco phonics tutor or your money back! Get information regarding a top-rated phonics tutor today! I am currently available as a private tutor for help with phonics, reading, and writing in San Francisco, CA. In the past, I have worked as a peer writing assistant at San Francisco, CA State University in the campus writing center, The Boston Learning Center. There, I gained much experience working with students from different backgrounds and levels of language competency. I believe my experience working with different levels of composition has given me a firm grasp on phonics and the English language. In addition to professional tutoring, I have a career in early childhood education, and particularly enjoy working with younger students. I find the experience of helping them develop their reading skills and introducing them to expression through language especially rewarding. I am a personal tutor for phonics living and working in San Francisco, CA. I am an individual of vast intellectual curiosity and enjoy independently studying topics from all subjects. I am comfortable discussing everything from phonics to Greek mythology to details of psychology. I enjoy tutoring because I get to be involved in helping other minds develop critical thinking skills and reflect on what they have learned–and how. In my opinion, this intellectual development is valuable in both professionally (academically) and socially, and therefore incredibly important for the growth and development of society. I am happy to work with students of all backgrounds so that I can help them expand their academic and social horizons alike. Currently studying Spanish and computer science at Middlebury College, I am also working part-time as a professional tutor for students in San Francisco, CA. I am currently specializing in teaching phonics. I have several years of tutoring experience; in fact, I have been tutoring since I was only fourteen years old. Throughout my high school career, I volunteered 10-15 hours per week tutoring students grades preK-9. I have worked with students on nearly every topic touched in elementary education, from reading and writing to math and science, and particularly enjoy helping students with phonics and spelling. I have also worked as a peer tutor, helping students with Spanish and Chinese as well as physical science. I am an enthusiastic tutor of phonics and spelling located in San Francisco, CA. I have long maintained a love for education and teaching, and enjoy giving back to the community by working as a tutor in the area of literacy and speech. I enjoy knowing that I am helping a new generation of thinkers, innovators, and communicators learn how to express themselves. I have a high sense of respect for the power of communication, argument, and expression. I hold a bachelor’s degree in pre-law studies from Michigan State University and hope to someday become an attorney for civil rights. I am a progressive member of the educational community as an open-minded personal tutor for students in San Francisco, CA. I believe in the promise of innovation and education and make an effort to constantly be improving my education. One way that I work to keep my own education dynamic and progressive is through tutoring. I am currently working as a private tutor for phonics so that I can help others learn how to communicate and express themselves effectively. In doing so, I gain an even better grasp of the English language and how different minds work to master it. I enjoy travel, music, and art. Long walks, exploration, new ideas, all play a role in my life. I play video games with my friends from time to time.